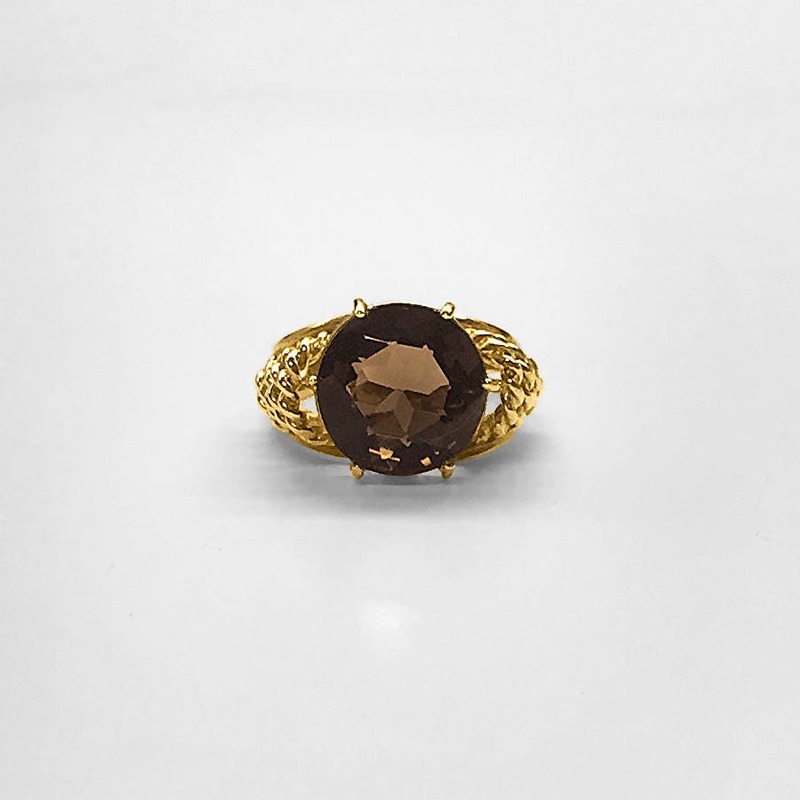 1950's vintage Tiffany-like (Schlumberger) Gold Ring with open twisted rope shoulders and 12 millimeter round Smoky Topaz; never worn! 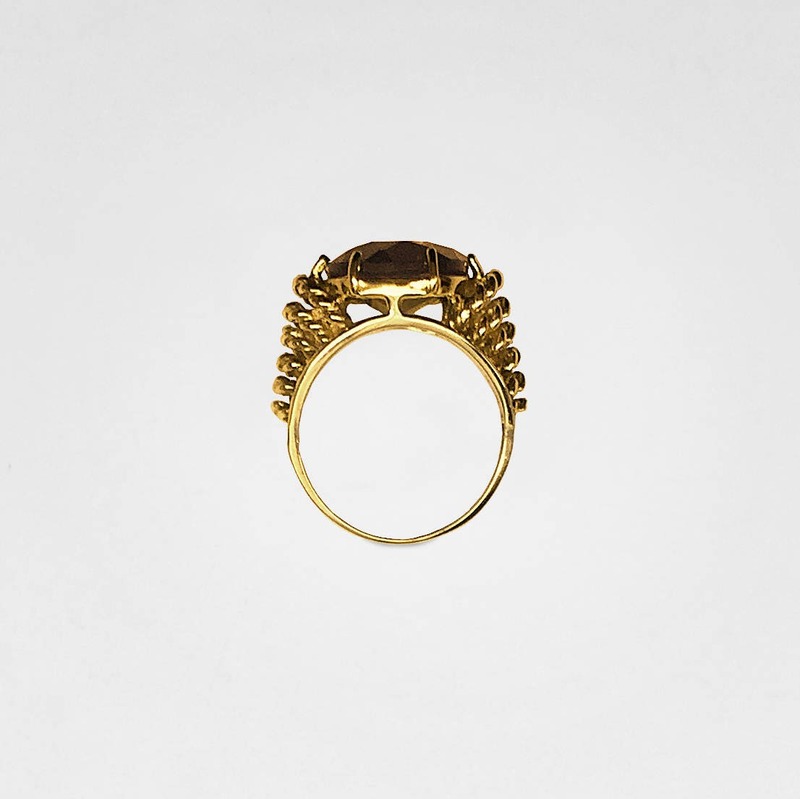 This 1950's vintage cocktail/dinner ring reminds us of the designs of Schlumberger for Tiffany & Co. in the 1950's with its classic rows of twisted gold rope forming the shoulders of the ring. 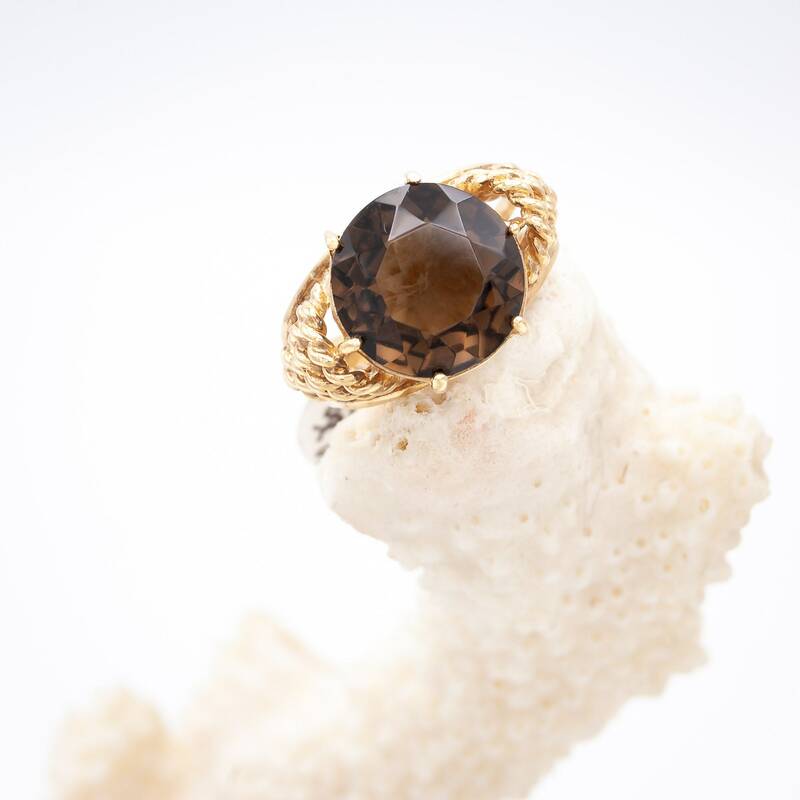 This elegant piece is prong set (6) with a beautifully cut synthetic 12 millimeter round faceted smoky topaz. 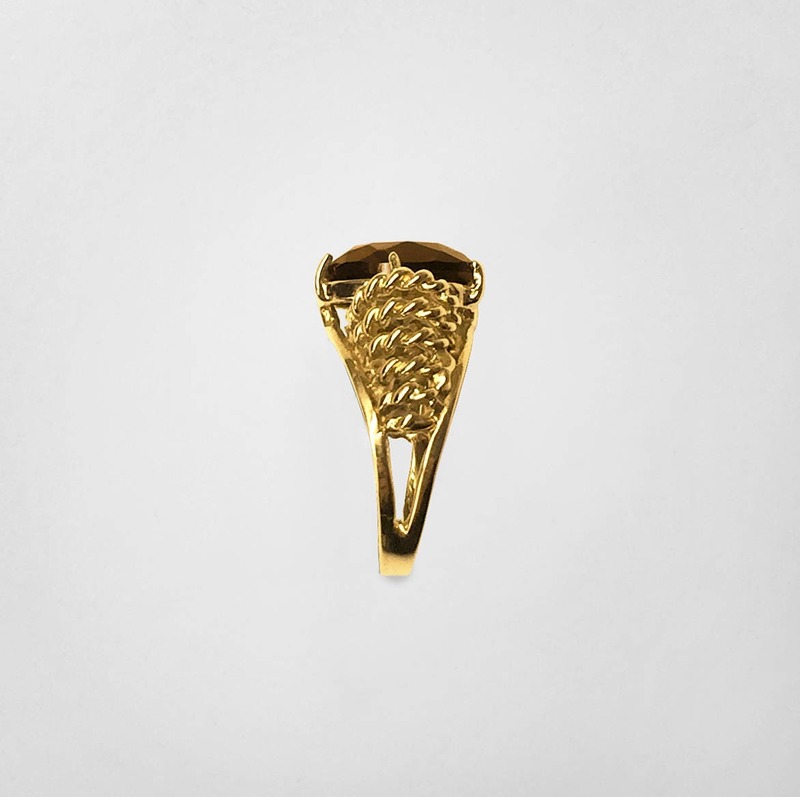 The ring is made of 10K solid yellow gold. This could make a lovely engagement ring. It is strong enough to be worn on a daily basis as it has substantial weight. Delicate looking but not skimpily made. 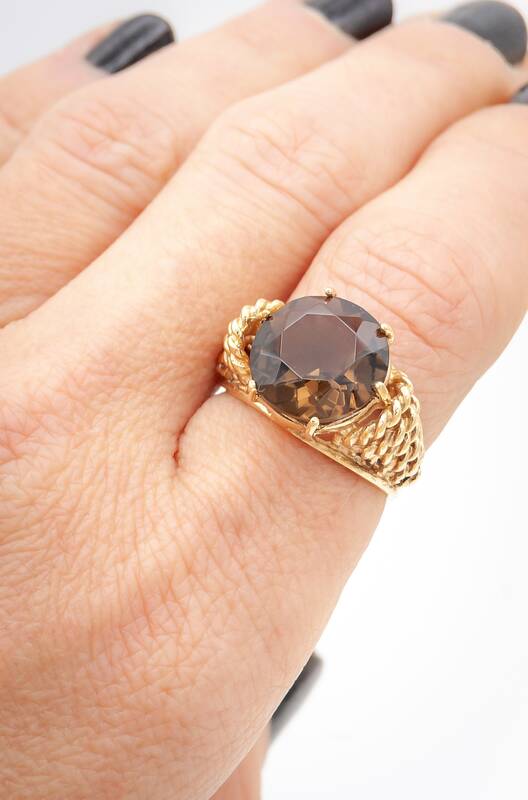 The ring is currently a size 6 1/2 but could be sized easily to fit your finger.